From November 1916 the German government took control of all film activities, culminating in the incorporation of the Universum Film AG (UFA) as authorized by General Ludendorff. As descibed in our latest book, the German military leaders from the start of the war were reluctant to allow cinematographers to go to the front. But now finally film was recognized as an important medium for publicity. As a result eight so-called Film Truppen were established. 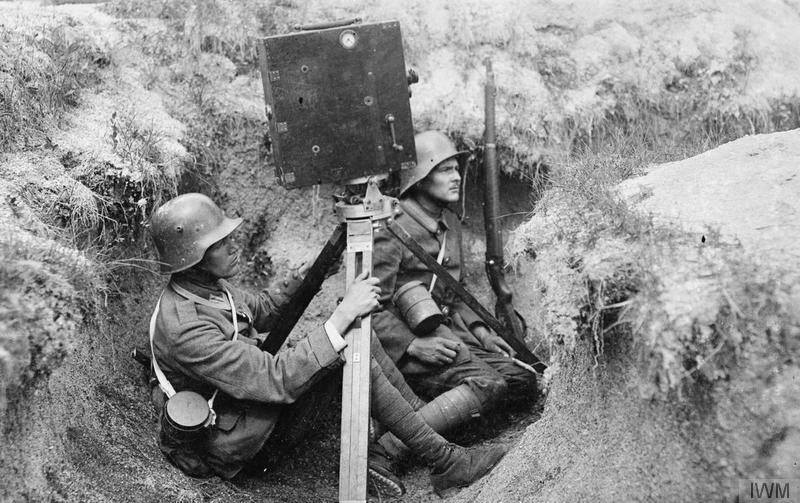 These film squads consisted of official military cameramen who were attached to various German army groups. German cinema team. Western front, June 1917. From the collection of the Imperial War Museum. Hans Barkhausen in his book on German film propaganda during World War I and II calculated that these military cameramen in 1917-1918 produced over 10.000 photographs. The list of motion pictures that they made also is impressive. Most of these pictures have been lost, but the German Federal Archives (Bundesarchiv) still have about 1.000 photographs made in the last two years of the Great War by these military cameramen. Never properly researched before a selection of these pictures was recently copied and turned over to the Imperial War Museum in London, as part of an exchange program. The German military film squads were organized along the lines of the Imperial airforce. Like the "Red Baron" von Richthoven's flying circus, these cameramen moved around from one front sector to another. Take for instance Film Squad No. 1 which started covering the war on the Mediterranean shore, found itself on the western front in March 1917, went to Romania five months later and from the beginning of 1918 filmed in Tiflis, the new capital of Georgia that had been set up by the Germans as a separate state after Russia had withdrawn from the war at the Peace Treaty of Brest-Litovsk. As the war expanded and Germany conquered large chunks of territory on the eastern front the German film squads went to the Caucasus mountains, the interior of Turkey, the Black Sea coast and even as far as the deserts of Palestine to film the German side of the war. A regular film squad was commanded by a lieutenant and consisted of two still photographers, a cinematographer and an assistant film camera operator. We have uploaded a collection of pictures, showing these official German cameramen at work on our Flickr photo account. Also, here is a video showing these photographers at work recording military history with their camera. Contemporary German music has been added to the clip. To commemorate the centennial of the first exhibition on November 28, 1915 of Wilbur Durborough's World War I film On the Firing Line with the Germans weblog The Great War Day by Day has dedicated two remarkable illustrations to this movie which has been recently restored by the Library of Congress. The illustrations were drawn by a Dutch artist, Tim Broekhuizen. You will find more information on this historical World War I feature documentary in this weblog, as well as in our latest book American Cinematographers in the Great War. The film opened in Milwaukee on November 28, 1915. It opened in Chicago on December 6, 1915. The net profits of the showings at the Park Theater in Chicago were to go to the American Red Cross for use in war-stricken countries without discrimination. Durborough lectured during some of the showings. 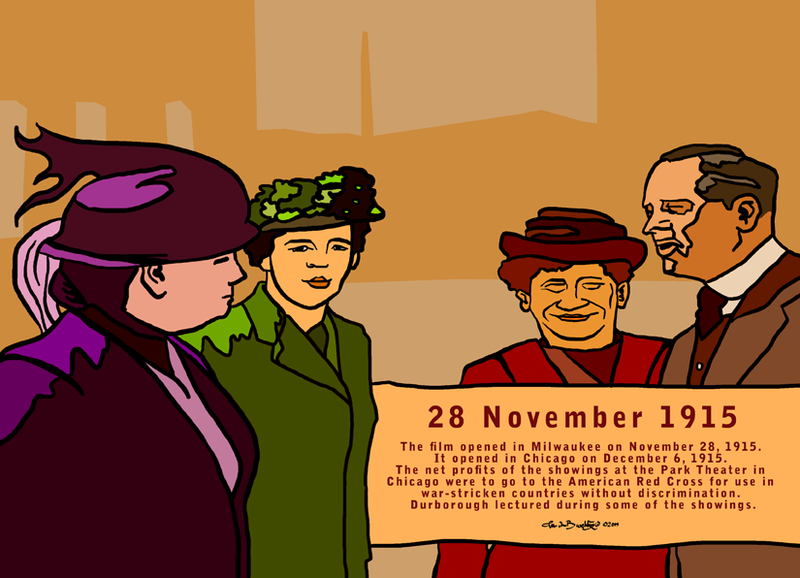 Wilbur Durborough presents ‘With the Germans on the Firing Line’ in his hometown Chicago (see 28 November), with surprising images of the suffragettes Jane Addams and Aletta Jacobs in Berlin as envoys of the Hague Women’s Congress in 1915, on their way to peace talks with government leaders. 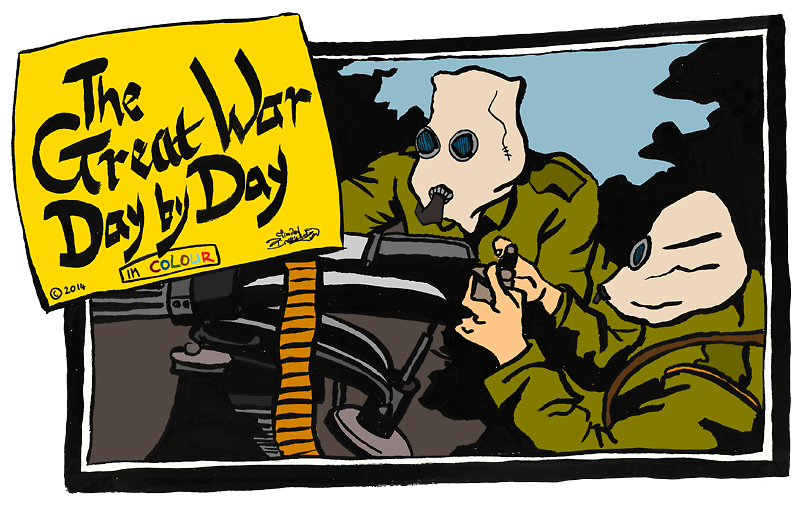 The film, sponsored by a consortium of Chicago businessmen, was the first independent war documentary in history. The Treaty of Versailles not only put an official end to World War I. The international conference was also a major media event that attracted a huge amount of publicity. 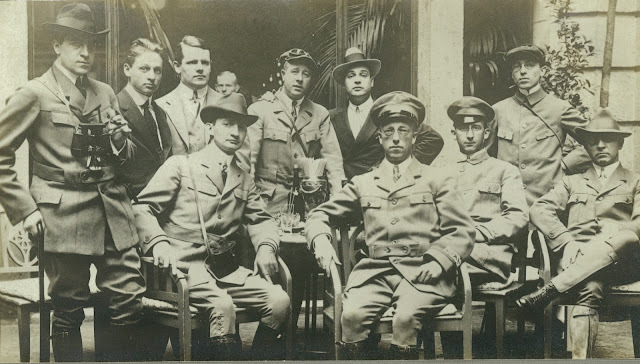 Edward Jackson and Victor Kubes, two American cameramen from the U.S. Signal Corps, on this historical occasion scooped all journalists when in May 1919 they captured the four leading statesmen from France, Italy, Britain and the U.S.A. for an exclusive photo and film opportunity. 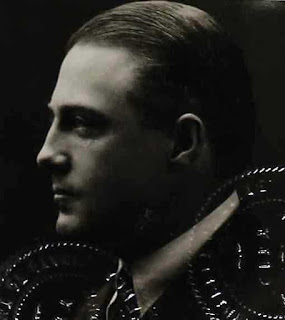 Film history traditionally refers to cinematographer and movie director Victor Fleming as President Wilson's official cameraman on his first trip to Europe, when Wilson was working on cementing his ideal about a League of Nations for generations to come. Fleming's role is well documented in Michael Sragow's study on Fleming's work during World War I. But who remembers the story on the two cameramen who after Fleming's discharge from the U.S. Signal Corps in March 1919 took up where he had left off? 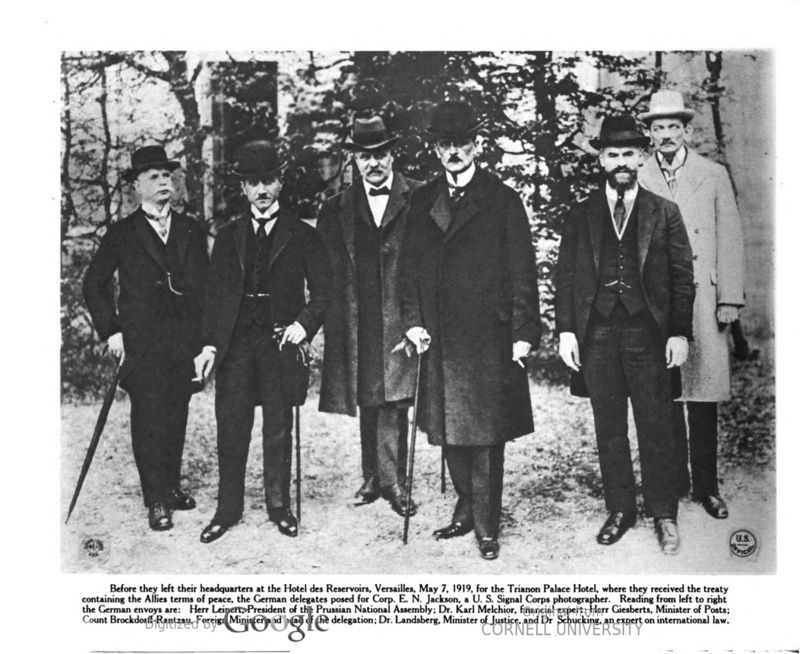 They would be responsible for some of the most iconic pictures that have been taken of the Treaty of Versailles and of the politicians who played a leading role at this historical conference. The first man who needs to be credited here is "Eddie" Jackson. Born in Philadelphia in 1885, Jackson's photographs included seven U.S. Presidents, as many kings, one pope, three queens, ten thousand beautiful women, three hundred murderers, most of the world's great diplomats and generals, pickpockets, gunmen, drug peddlers and their victims. 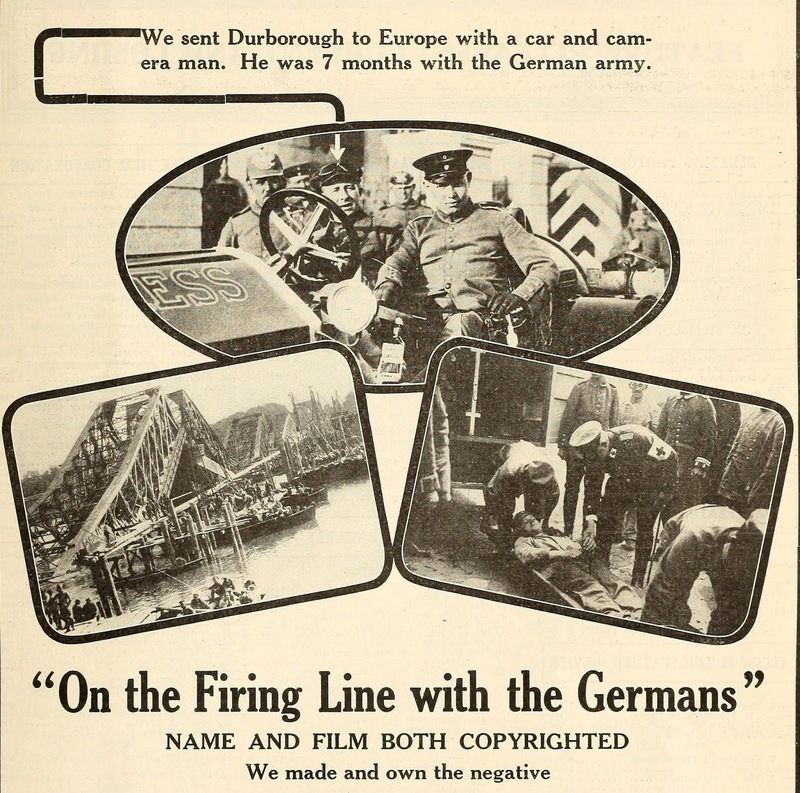 We mentioned Jackson briefly in our book American Cinematographer in the Great War because he worked together with Wilbur H. Durborough who had filmed in wartime Germany in 1915. Durborough reportedly qualified Jackson as one of the most agressive press photographers in the United States. As will be shown when he covered Versailles, Jackson was out to get the best pictures and he wasn't the type to let himself be disappointed by anyone. He had learnt his trade in the streets of New York City where he would stalk his newsworthy subjects all over town. From 1912 Jackson was a freelancer for the American Press Association. Jackson had covered the Western front in 1917. Somewhat later, in March 1918, Durborough and Jackson worked together on producing aerial pictures at Camp Kearny in San Diego. These were all photographic assignments for the Committee on Public Information (CPI), America's wartime propaganda agency. 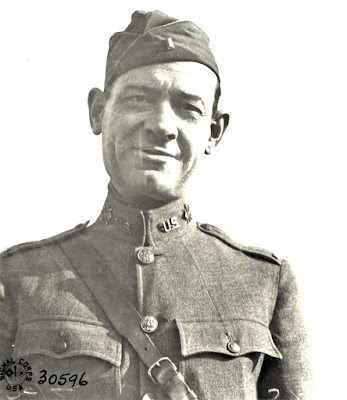 In August 1918 Jackson was transferred to Europe to cover the war with the 27th Division. Not much is known about the personal background of Jackson's colleague, cinematographer Victor Kubes, except that he was a press photographer from New York. He started working for the Hearst newspapers. 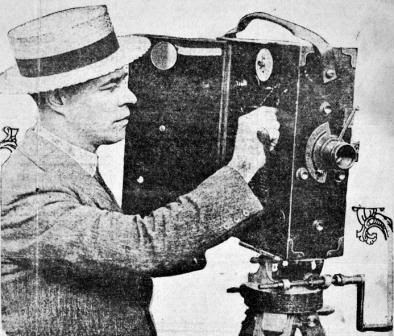 Moving Picture World in an article published on March 18, 1916, refers to him as a newsreel cameraman for the Hearst-Vitagraph News Pictorial, working in the Chicago area. 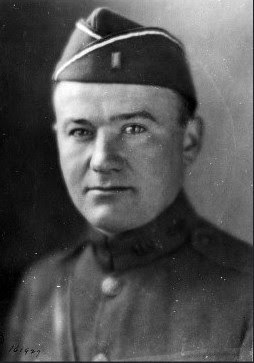 Kubes was later transferred to Cleveland, Ohio, and when war broke out between America and Germany he joined the U.S. Signal Corps. Kubes is also listed as a staff member of the Students Army Training Corps of Columbia University in 1918. Columbia University from January 1918 hosted a training school for land photography for the Signal Corps, so he probably taught photography there. 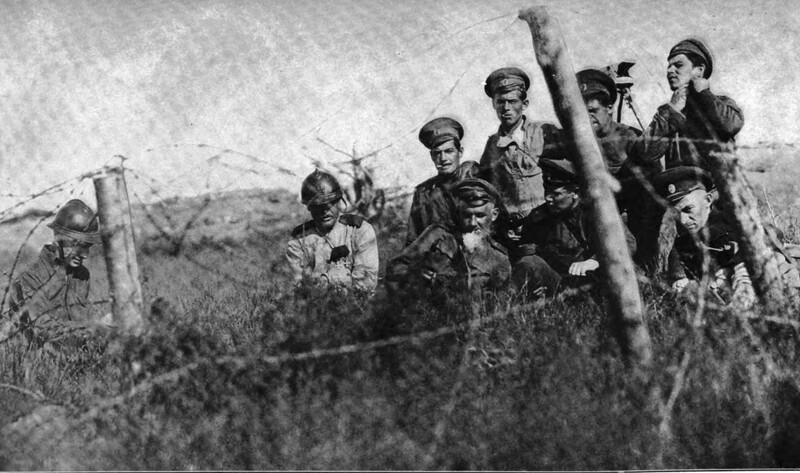 Unlike Jackson, who followed the retreating German army in the final months of the war, Kubes had no frontline experience. 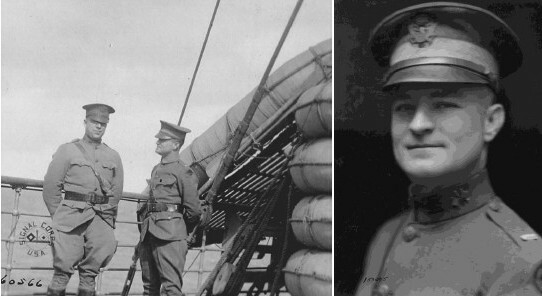 He was shipped to Europe in December 1918 on the SS George Washington to cover President Wilson's visit to Europe. Kubes probably worked with Victor Fleming on his first pictorial assignments in and around Paris in early 1919. 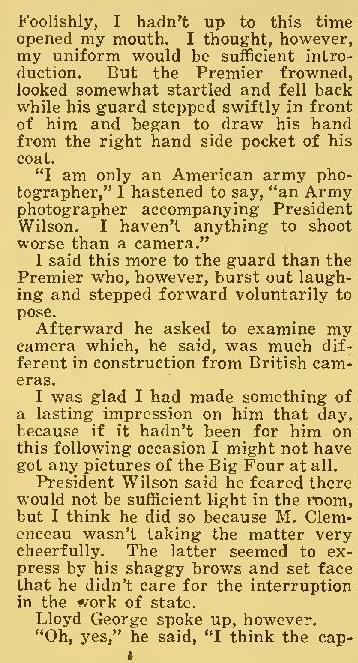 Jackson states he was assigned as the official American Expeditionary Force photographer to Woodrow Wilson's Presidential Party overseas and the Peace Conference at the close of the war. His own story can be read in this weblog in more detail. 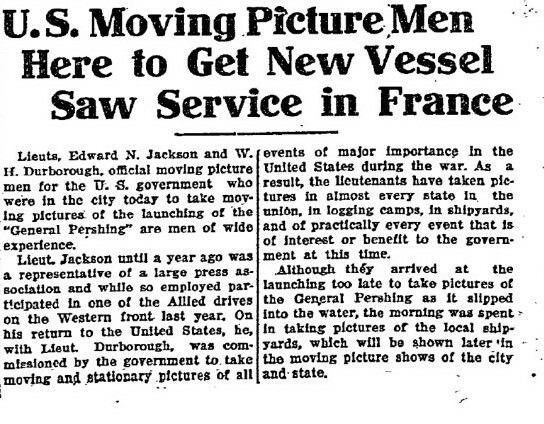 Although it overlaps with Fleming's claim to fame it is evident from the pictures that he took as well as Jackson's own account that he photographed Wilson's party as early as December 1918 when Wilson first landed in Brest, France. Jackson followed the Presidential party on its visit to Paris, Rome and London. Here is a link to one of Jackson's pictures showing some of his fellow Signal Corps cameramen covering Wilson's visit to Rome. Jackson's biggest scoop came during Wilson's second trip to Europe in May 1919 when together with Victor Kubes he cunningly "fixed" a photo and film opportunity and captured the four leading statesmen at Versailles: Wilson (USA), Lloyd George (Britain), Orlando (Italy) and Clemenceau (France) who a few weeks before had presented their controversial peace plan, much to Germany's indignation and anger. Apart from Jackson's historical photographs, Kubes' film showing the "Big Four" has also been preserved and can be seen online in contemporary newsreel segments which were found by author Cooper C. Graham in the CBS Collection at the National Archives in Washington, NWDNM (M) CBS-CBS-WW1-, National Archives identifier 89349, record number CBS-WW1-229. 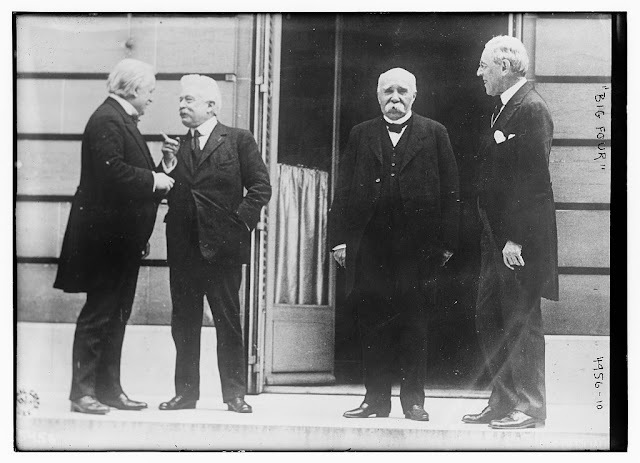 When on June 28, 1919, in the Hall of Mirrors at Versailles the Peace Treaty was signed, Jackson and Kubes were present again to record the event. 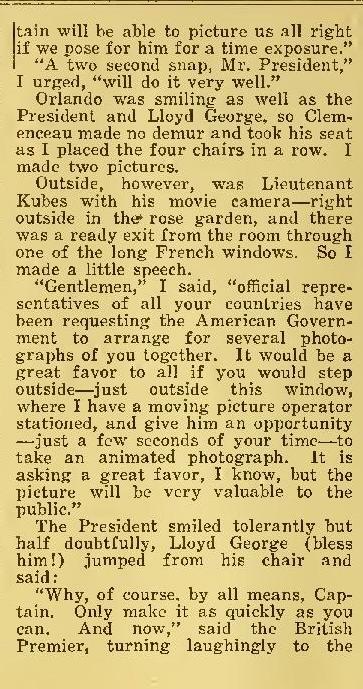 After the Great War Kubes became a newsreel cameraman for Fox News. In November 1919 he went to Soviet Russia for Fox and brought back some remarkable motion pictures of Lenin. Jackson's star had also risen as a result of his wartime work for the U.S. Signal Corps. He was promoted to Captain in the Signal Corps. After his return to America, in July 1919, he became the lead news photographer for the New York Daily News and stayed with this newspaper until his retirement, covering events like the first flights across the Atlantic and the Depression in the 1930s. Jackson died in Wilton, Connecticut, in 1967. For more information on Jackson's remarkable life and career here is a link to a biographical website by Joseph J. Caro who has written a series of books on Jackson's photographic work. These are all available on Amazon. Caro's volume on Jackson's experiences during World War I can be ordered here. It is an extraordinary book with many pictures by Jackson, as well as cites from his personal journal that is now in the family archives. 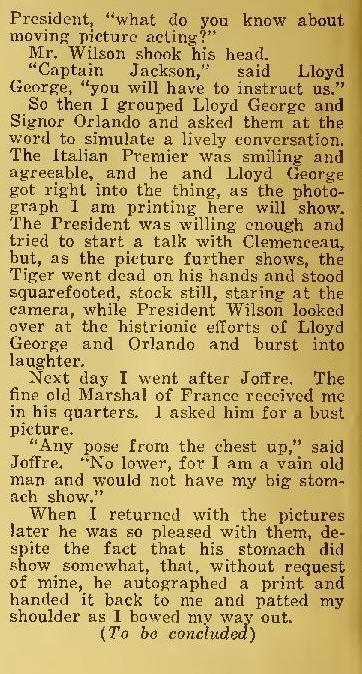 Jackson's story as printed in the American Legion Weekly on his photographic work during the Versailles Peace Treaty conference can be read and downloaded here. Long considered lost, Merl la Voy's war film Heroic France (USA, 1917) has been partially retrieved by authors Cooper C. Graham and Ron van Dopperen. La Voy is credited as the only civilian cinematographer from the United States who filmed on the battlefields of the Somme and Verdun with the French army. The authors located four reels of La Voy's war footage, including some fascinating aerial pictures taken above the frontline and scenes showing a German gas attack on the Western Front. Motion picture cameraman Merl la Voy (1885-1953) traveled the four corners of the world for Pathé, earning him the title of the Modern Marco Polo. His adventures during the First World War are described in our book American Cinematographers in the Great War. When we finished this project, we closed our book with a final observation saying none of la Voy's World War I films had been found. We were wrong about this. 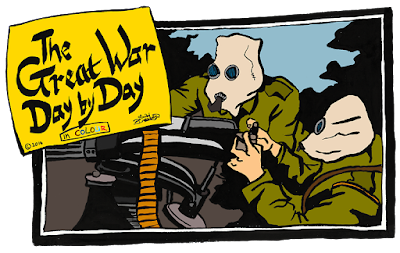 On the Internet we located a collection of World War I newsreel segments which could be traced to the CBS Collection at the National Archives in Washington, DC. The intertitle references to La Voy pointed to Heroic France, his first war film made in 1917. We were able to confirm this by checking contemporary reviews for this film. 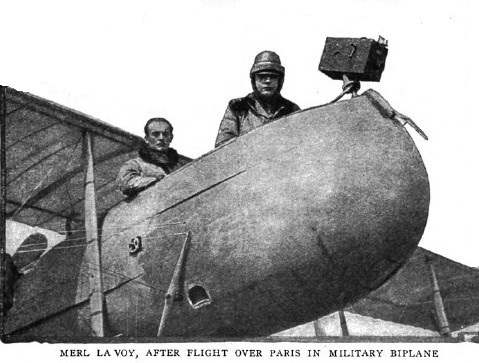 Merl la Voy filmed with the French army in 1916. On his return to America his film was first shown in Chicago on March 19, 1917. 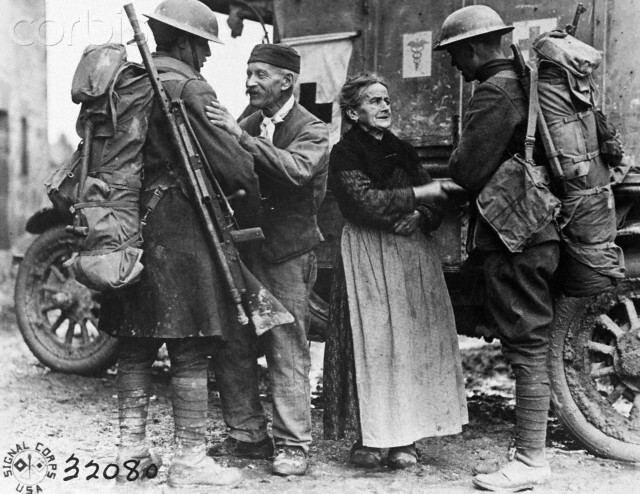 Heroic France was sponsored by a group of pro-French business men from Chicago and exhibitions supported war charity organizations such as the American Red Cross and the American Relief Clearing House. This eight-reel movie was released nationwide in June 1917 by Mutual, shortly after the American intervention in the Great War. The footage that we found comes from reels 3, 4, 5 and 6. It has a total playtime of a little over 35 minutes. The inclusion of pictures showing the Serbian army, as well as the double "5 Series", showing both aerial scenes and footage from the French front on the same reel, is intriguing. La Voy in 1917 went to Serbia for the Red Cross where he shot film at the front. These observations suggest that the four reels found with film from Heroic France had been re-edited by La Voy at a later date, perhaps for lectures. 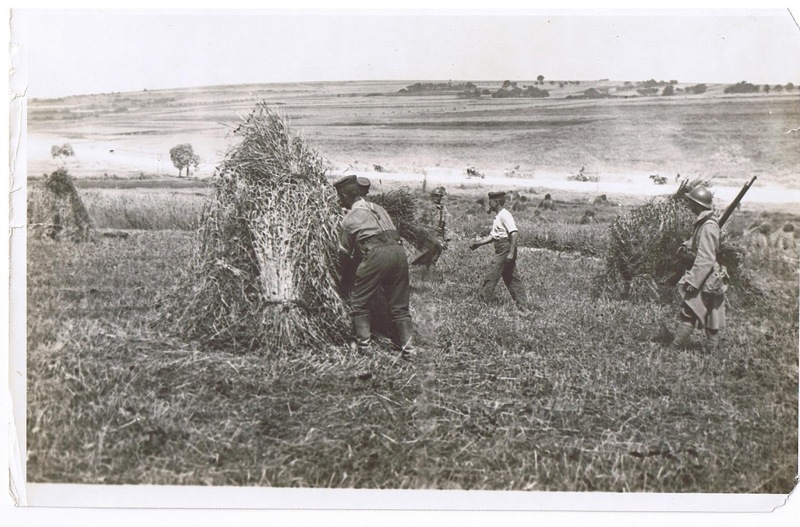 German prisoners of war, gathering grain, 1916. Photograph by Merl la Voy. Author's collection. CBS obtained the original footage from the Sherman Grinberg Collection while assembling film for their World War I TV series in 1964. After the series was edited CBS in a magnificent gesture turned its unused footage over to the National Archives - a real boon for researchers. We also found scenes in the CBS episode on Verdun from this series, which were probably taken by la Voy, featuring the American Lafayette Escadrille pilots who had volunteered to fight for France. Famous aces such as Raoul Lufberry who had been filmed by la Voy appear in this CBS episode, together with his pet lions Whiskey and Soda. 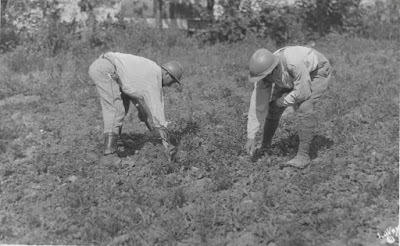 Gardening at the front, 1916. Photograph by Merl la Voy. Author's collection. 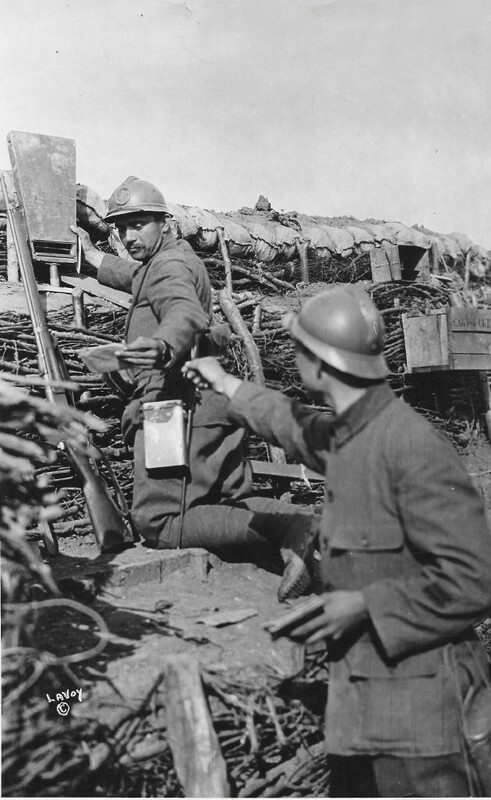 Getting mail in the trenches, 1916. Photograph by Merl la Voy. Author's collection. We have edited these CBS scenes into the video on our YouTube channel, showing all of la Voy's World War I films that we found, rearranged according to the orginal series of numbers of the reels and scenes on the intertitles. Exactly 97 years ago and just four days before the Armistice, on November 7, 1918, while on a photographic assignment with the 42nd "Rainbow" Division near Sedan, Lieutenant Ralph Edwin Estep was killed in action by a German high explosive shell. He was the only military photographer in the U.S. Army Signal Corps during World War I who was mortally wounded. The pictures in his camera recorded his final moments in life. Not much is known about Estep's background. He probably was born in Winona Lake, Indiana, where at his local high school a memorial tablet was placed to commemorate his untimely death. 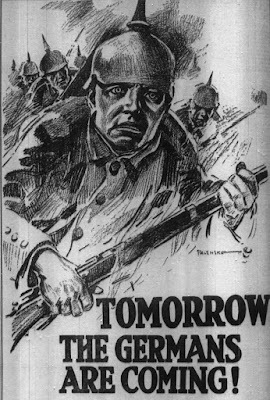 In 1915, before America entered the Great War, Estep was sent to Europe by Leslie's Weekly to cover the war with the Serbian army. He also was sent to France and appears to have reported on the war at the Italian front. When the United States entered the First World War in 1917 Estep enlisted with the 36th Division and he later was made a Signal Corps photographer. In the Signal Corps collection at the National Archives in Washington, DC., there is a picture taken by Estep in the fall of 1918, showing the 78th Division Photo Unit making pictures of a bridge that had been destroyed by the retreating German army over the Aire River near Grandpre in the French Ardennes. Estep covered the American advance in this area which was under heavy German fire until the very last day of World War I. 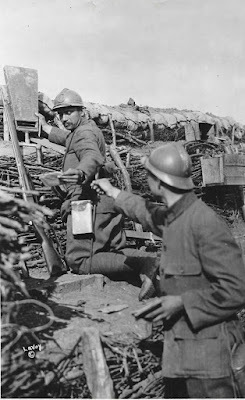 On November 7, 1918, Estep was near Sedan capturing still photographs with his plate camera of a patrol by a unit of the 42nd "Rainbow" Division into the German lines. The weather was cloudy, it was around 5 PM, dusk was already falling. This was the moment the Germans started shelling the American soldiers in front of him and Estep's camera recorded the men running for cover. 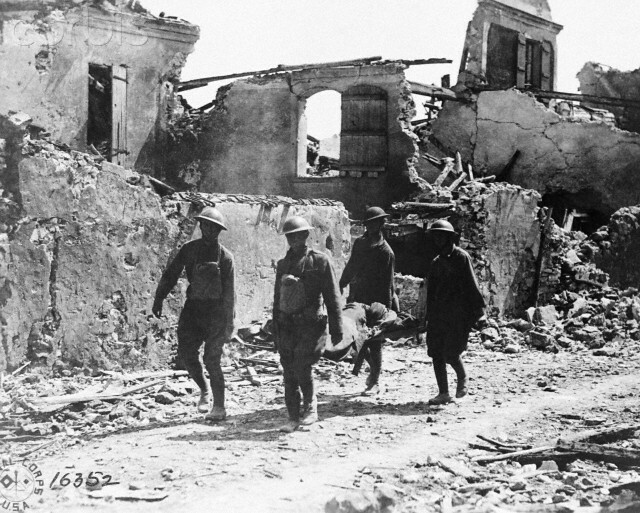 There were casualties among the American soldiers and Estep's final picture shows a huge column of flying earth as a result of a shell exploding in front of him. A few minutes later he was dead. America's first official war film, Pershing's Crusaders (1918), has a stunning opening scene by Walter Niebuhr. As mentioned before in our book American Cinematographers in the Great War, we wouldn't have found out about this remarkable footage if it hadn't been for Dr. William G. Chrystal who has studied the Niebuhr family for over 35 years and is an authority on theologian and political philosopher Reinhold Niebuhr. Many thanks, Bill, for providing us with your astonishing research material! Born in 1890, Walter Niebuhr was a journalist from Illinois. 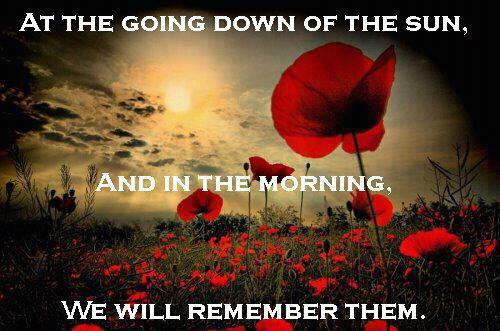 In 1915 he went to Germany to cover the First World War. On his visits to the eastern front Niebuhr frequently accompanied cinematographer Wilbur Durborough, and he also appears in his film On the Firing Line with the Germans which was recently restored by the Library of Congress. After America entered the Great War, Niebuhr was named Associate Director of George Creel's Commitee on Public Information's Division of Film. It was Niebuhr's job to produce America's first war films. The iconic movie poster as well as the opening shots of Pershing's Crusaders (1918) were all based on work by Walter Niebuhr. Pershing's Crusaders begins with a shot of a mounted crusader in armor (Niebuhr’s work), holding a flag in one hand and a shield in the other. On either side of the crusader a doughboy in uniform marches. The narration next reads: "The mailed fist of the 'Rule by Might' (Niebuhr also played that part) lies heavily upon Europe. To it no contract is binding, no obligation is worthy of fulfillment, no word of honor sacred." A point of light appears on the center of the screen, moving outward, as though a drop of acid was spilled on the film, burning it from the center to its edges at a more or less equal rate. As the entire frame lightens, the viewer sees sand, nothing but sand, sand like that found in the Sahara or Mohave deserts. Suddenly, an arm emerges from the sand, wearing chain mail. In the throes of an unnamed agony, the arm stretches and contracts, before falling back, into the sand. Symbolically, the mailed fist, "Rule by Might," is defeated. It lies heavily upon the sandy wasteland, an apt visual metaphor for the defeat of Germany. Viewed from a modern perspective, Pershing's Crusaders frequently appears dreary, but Niebuhr's work on the opening "punch shots" still stands out as a powerful piece of cinematography. After the war, Niebuhr set up the American Cinema Corporation and in the 1930s he tried his hand at documentary production. During the Second World War Niebuhr edited footage shot by the Signal Corps. He died suddenly in August 1946 as a result of a heart attack. The release of Pershing's Crusaders also had an interesting spin-off in the musical industry at the time. The E.T. 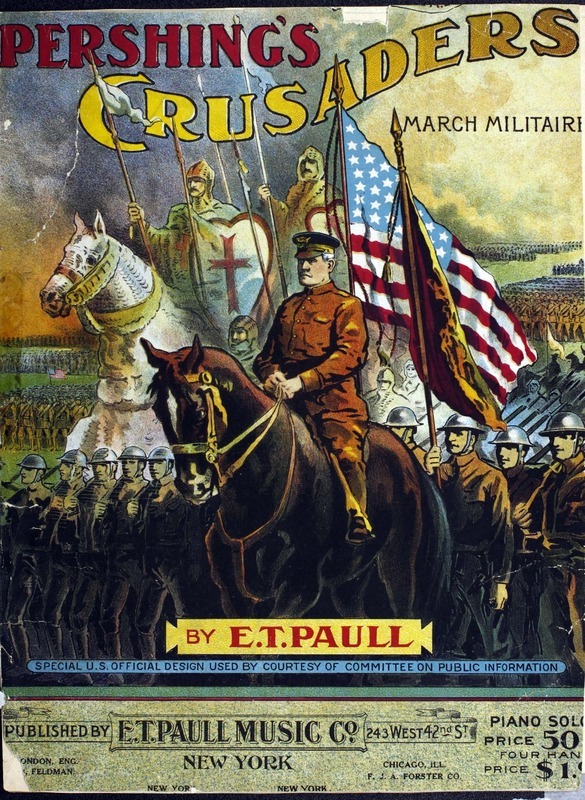 Paull Music Company in New York City make a tie-in between the film and produced a Pershing's Crusaders March which was copyrighted in October 1918. Apparently, the music used for its first performances was other music than the music that was put together by Samuel E. Rothapfel during the first film exhibitions of this particular movie. So we do not think there is any reason to think that this is part of an original musical score which was written for this CPI film. 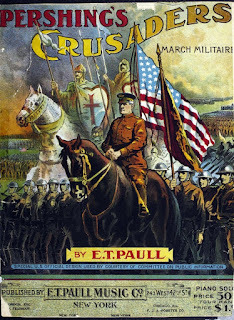 Here is a download link to the sheet music of Pershing's Crusader's March. Footage from Pershing's Crusaders of good quality is hard to find on the internet, but we managed to locate the original opening scenes and uploaded the film with contemporary World War I music added to the film clip. 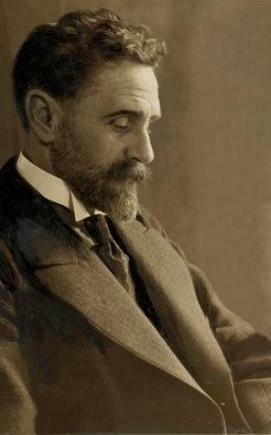 On August 3, 1916, Roger Casement was executed for treason at Pentonville prison in London. Born in 1864 near Dublin to an Anglo-Irish family, Casement went into the diplomatic service, received a knighthood for his humanitarian work and during World War I led an important role in the Irish struggle for independance. With German assistance he tried to organize an Irish Brigade to prepare an uprising against Britain. Shortly after he had entered Ireland on a German submarine he was captured and executed by the British. To some a martyr, to others a traitor - Roger Casement has remained a controversial and historical figure ever since. Casement has only been captured on one short piece of footage that still exists today. The story how he was filmed is extraordinary and will feature in an upcoming article by authors Cooper C. Graham and Ron van Dopperen for the Historical Journal of Film, Radio and Television. We will keep you posted on this latest project! On October 9, authors Jim Castellan and Ron van Dopperen attended the special screening at Pordenone of Wilbur H. Durborough's historical World War I film On the Firing Line with the Germans. Reconstructed by the Library of Congress and with a musical score on the piano by Philip Carli, the film was shown to a crowded Verdi theatre. 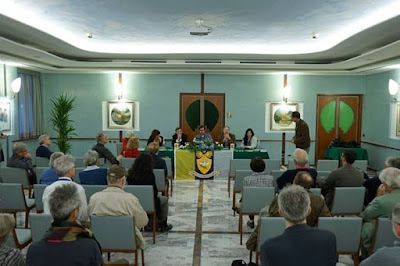 Afterwards we had a panel discussion at the Hotel Moderno, which was also well attended and organized together with Marten van Harten, project coordinator of the International Network of Museums for Peace. For a war film it is somewhat ironic that the scene that attracted most attention has nothing to do with the German army during World War I. Durborough's film has a short segment showing the first attempt by the Women's International League of Peace and Freedom (founded in 1915) to stop the Great War. 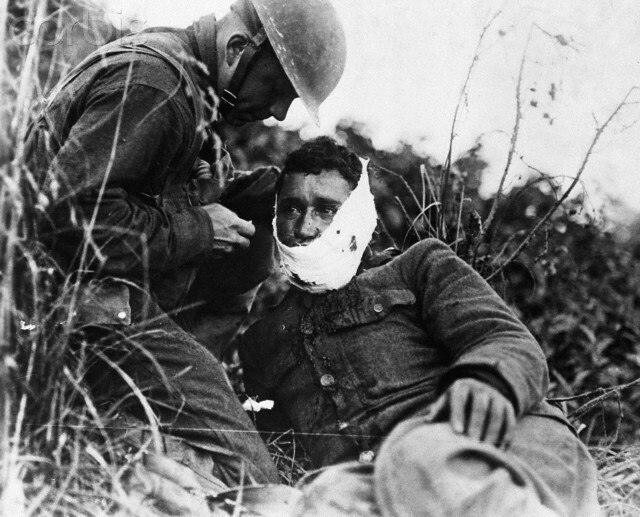 Apart from the evolving public interest and historical value of this feature documentary - which was compared to the British classic World War I film The Battle of the Somme (1916) - the film was also applauded for the restoration work by the Library of Congress. To make this possible, in 2010 Cooper C. Graham and Jim Castellan began the process of reviewing and logging each reel of known Durborough film in the Library’s nitrate vault and the National Archives film collection. 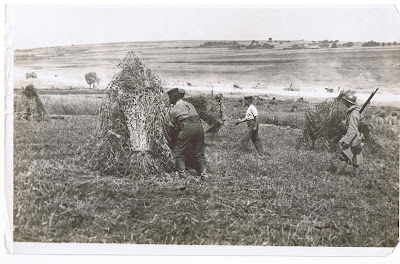 Lost footage shot by Durborough not found on the surviving nitrate reels was found in the Signal Corps film collection of the National Archives. 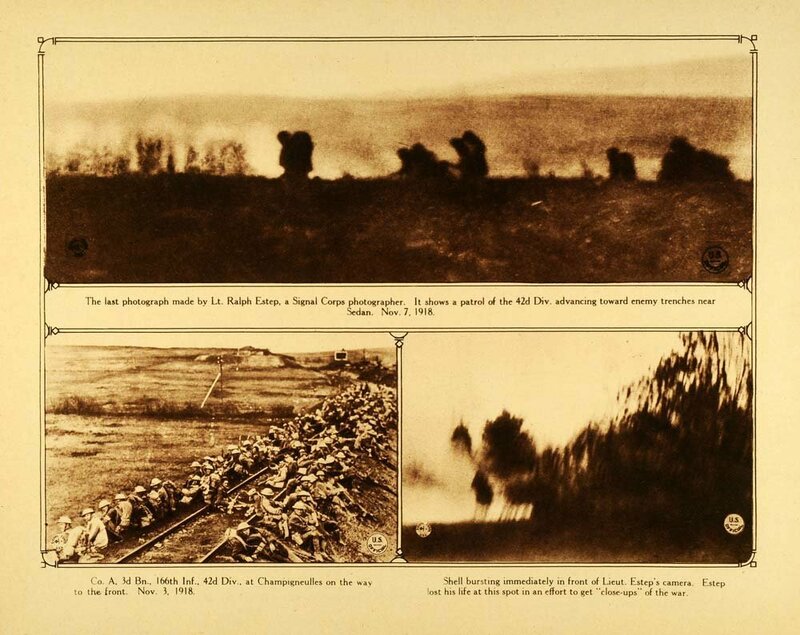 Research by Ron van Dopperen, Graham and Castellan led through an online film sourcing company to Signal Corps film with no identifiable source but identified as Durborough’s by initial film frames associated with the titles on the Copyright paper print rolls in the Library of Congress. The Durborough film with its accompanying musical score is now in the public domain and available in digital (dcp) format. The nitrate reels were reviewed using the reconstruction script and select scenes and reels were optically printed using an Oxberry optical printer with a KL wetgate to create new internegatives. The new negatives were then scanned using a DFT Spirit Classic datacine in 1080p 24fps HD. The digital files were next loaded onto a Macintosh computer for review and assembled using Final Cut Pro X. The final step was to have the images masked, stabilized, and speed corrected using the Clipster by DVS. Apart from Mike Mashon, head of the Moving Picture Department at the Library of Congress, we would like to thank the full staff of this restoration project: Nitrate Inspection and Selection: Valerie Cervantes, Lynanne Schweighofer, George Willeman; Optical Printing: Brian Allan and Michael Hinton; Scanning: Pat Kennedy; Digital Assembly: George Willeman and Lynanne Schweighofer; Digital Masking and Stabilization: John Carter; Project Manager: Rob Stone. Pointing out the interests of the international peace museums, Marten van Harten has outlined several ways how the original film can be presented in different countries. Screenings could be combined with short films on legal aspects such as women's rights. For permanent museum use there may be a demand for a number of selected scenes showing the casualties of war, the Jewish ghetto in Warsaw and the suffering of the civilian population on the eastern front, as filmed by Durborough. The film scene showing the 1915 peace initiative will also be used on October 16 for Global Ethics Day. Last but not least, we would like to thank Kevin Brownlow for his support and interest in our film research - we were very pleased he attended our dinner after the film show - as well as David Robinson, director of the Pordenone Silent Film Festival for his work on getting the Durborough film on the program! P.S: The international film journal Sight & Sound in December 2015 published this review of the exhibition of Durborough's film at Pordenone. Posted before on YouTube, here is a short compilation of scenes from the movie, as shown on October 9. Pordenone, Italy – An international and interdisciplinary coalition, organized in the Netherlands under the guidance of the International Network of Museums for Peace (INMP), will enjoy the success of its campaign to restore Wilbur H. Durborough’s 1915 World War I documentary film, On the Firing Line with the Germans, when it premieres this week at the 34th annual Pordenone Silent Film Festival. 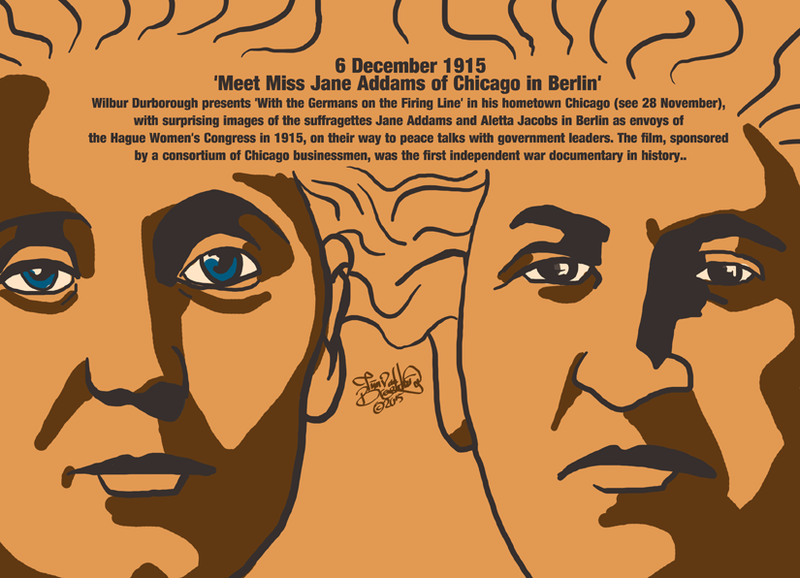 NGO’s, museums, researchers and academics became interested in the film when it was discovered to contain rare footage of an international delegation of women (including future Nobel Peace Prize Winner, Jane Addams (the first U.S. woman to win the Nobel Peace Prize), and Dutch suffragist and peace activist Aletta Jacobs). In 1915, this delegation functioned as envoys on a citizen diplomacy mission to end World War I. The mission arose out of the historic 1915 International Women’s Congress in The Hague, The Netherlands – organized by Jacobs and presided over by Addams -- in an effort to end the hostilities of World War I with a process of mediation. Over 1100 women attended this meeting, with the largest delegations coming from the Netherlands and the United States. Also joining in the campaign was the Women’s International League of Peace and Freedom (WILPF), which was formed as the result of the 1915 Hague meeting. WILPF, which is headquartered in Geneva, Switzerland, remains the oldest international women’s peace organization in the world today. In addition to its importance for peace historians and activists, the film also has exceptional cinematographic, historic and educational value. Researcher James Castellan, who has been researching the film and working on its reconstruction since 2001, notes that it is the only existing, essentially complete World War I feature-length documentary film. The restoration of this historic film, undertaken by the United States Library of Congress, will premiere on October 9, 2015 at 3:50pm in the Teatro Verdi at 15:50, with music by Philip Carli as accompanist. The film will be followed by a Questions and Answers panel at the Hotel Moderno. The panel will include Mr. Mike Mashon of the U.S. Library of Congress restoration team, James Castellan, film researcher / co-author of American Cinematographers in the Great War (London/John Libbey Publishing 2014), Prof. Hope Elizabeth May of Central Michigan University /The Bertha von Suttner Project, Prof. Giovanna Pagani, Honorary President of WILPF Italia, Mr. Marten van Harten of INMP /Historical Film for Peace Education Project, and Dutch film historian Ron van Dopperen (moderator and co-author of American Cinematographers in the Great War). 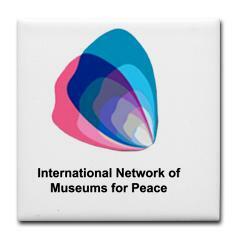 For more information on 100 years of efforts by women to stop war read the INMP Newsletter. On the Firing Line with the Germans, the 1915 World War I film shot by Wilbur H. Durborough, features in this years edition of the catalogue of the Pordenone Silent Film Festival. As announced before, after almost one hundred years the movie will have its second premiere on Friday October 9, 2015, as part of the World War I Centennial program by the Pordenone Festival and accompanied by a special musical arrangement. It has been restored and digitized by the staff of the Library of Congress. The Pordenone Film Catalogue describes the importance of this World War I movie for early film history and also has some comments by Marten van Harten, on behalf of the International Network of Museums for Peace, on the special significance of this film for the 20th century peace movement. The restoration of the Durborough film has been enthusiastically supported by this international organization. The catalogue description of the Durborough World War I film can be viewed and downloaded here. 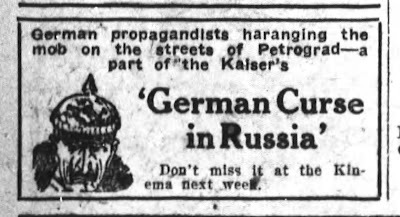 Among the World War I films considered "lost" there is one movie we would particularly like to find and see again: Donald C. Thompson's The German Curse in Russia. Distributed by Pathé in January 1918, the film documents Thompson's extraordinary adventures during the Russian Revolution. Although no footage has been found so far, Thompson has left us with a remarkable collection of still photographs. As described in our book American Cinematographers in the Great War, Thompson reached Petrograd in February 1917 on an assignment for Leslie's Weekly. 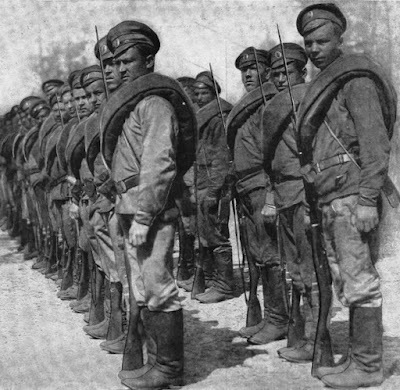 Just one month later the Petrograd regiments rebelled and the Tsar was replaced by a Provisional Government under the leadership of Kerensky. Meanwhile, the Bolsheviks agitated for peace, bread and land. Thompson's camera not only captured the leading politicians, including Lenin and Trotsky. He also filmed the demonstrations in the streets of Petrograd and in July 1917 he went to the front to cover the summer offensive against the German army. With chaos increasing in the country he left Russia in September 1917, shortly before the Communist regime took over. Despite the loss of his films many of Thompson's still pictures taken during the Russian Revolution have been preserved. A selection of 201 photographs was published in his book The Crime of the Twentieth Century in 1918. For those of you who would like to see more here is a link to a weblog on Thompson's remarkable picture book. In February 2017, the authors found footage from Thompson's film The German Curse in Russia. Check out this link for an update! 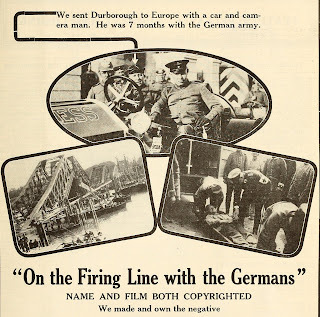 Wilbur H. Durborough's historical film On the Firing Line with the Germans (1915) has been scanned, digitized and restored by the Library of Congress. Nearly one hundred years after it was first shown the movie will be thrown on the screen again in all its former splendor. This will be on Friday October 9, at the Pordenone Silent Film Festival in Italy. After the exhibition authors Jim Castellan and Ron van Dopperen will answer any questions on the making of this remarkable World War I feature film which has been described in their latest book American Cinematographers in the Great War. Unfortunately, co-author Cooper Graham can't join us. As a teaser, here is a short clip from Durborough's war film showing scenes that were considered lost. The authors found these segments in the U.S. Signal Corps collection at the National Archives in Washington, DC. As a result, the film is almost complete now and will be shown as originally edited in 1915 when first released in America. You will have an intimate view of the German Imperial family, see a group of American war reporters - including camera correspondent Durborough - at the Adlon Hotel in Berlin, and witness Durborough interviewing the Prussian general and military writer, Friedrich von Bernhardi. For more information on this special exhibition go to the website of the Pordenone Film Festival. The authors would like to thank the staff of the Library of Congress for a great job well done! Because he was primarily a still photographer we only mentioned him briefly in our book on the American film cameramen of World War I. Also, as a result of his untimely death, Adrian C. Duff's name and reputation soon vanished into oblivion after the Great War had ended. This weblog is another attempt to set the record straight and give a long forgotten American war photographer the credits he deserves. Born in New York City in 1893, Duff made national headlines in February 1912 when he got in a plane with aviator Frank T. Coffyn and for the first time in history photographed New York City from above. Because of his youth - he was only 21 at the time - he was nicknamed "The Camera Kid". These remarkable pictures were taken above Manhattan with a small hand camera and Duff had considerable difficulty in steadying it because of the turbulence. Duff was on the staff of the American Press Association when he made these photographs. In a special press release Duff explained how he managed to make these historical pictures. The American Press Association sent Duff to Vera Cruz, Mexico, in April 1914 and he covered the landing of the U.S. Marines. Shortly afterwards, when war broke out in Europe, he crossed the Atlantic and made his way into Belgium. He was in Antwerp when the Germans bombed the city with their Zeppelins, witnessed the destruction of Termonde and covered the siege of Antwerp in October 1914 with his camera. Because of his experience as a war photographer his employer sent him into Mexico again to cover General Pershing's 1916 expedition against Pancho Villa. Duff was, by all accounts, a fearless photographer and always ready to get into the thick of the fight to make a good picture. Together with one of the Signal Corps operators, he crawled out into No Man's Land just before an attack was scheduled to take place, and, though exposed to both German and American fire, set up his camera in order that the people at home, seated comfortably in motion-picture theatres, might actually see the boys going "over the top." On another occasion during the Battle of Chateau-Thiery, Duff became separated from the troops to which he was attached and found himself under the fire of a German machine- gun, but in spite of the hail of bullets he stuck to his work, made his pictures, and returned to the American lines herding in front of him a group of Germans whom he had captured at the point of an empty revolver. He twice received a citation for bravery as result of this. Adrian C. Duff died unexpectedly on March 7, 1920, at the age of 28 in a car crash in Brooklyn, New York City. At the time of his sudden death he was working as a motion picture cameraman for Gaumont. Apart from his war pictures there is probably also film shot by Duff during World War I, but no research has been done on this so far. Sent to Europe to cover the Great War by William Randolph Hearst, Ansel E. Wallace filmed the German offensive on the eastern front, was captured by a German submarine when he tried to cross the English Channel and finally made his way to Italy to report on the Italian entry into the war. One of the first newsreel cameramen in American film history, Wallace had a major scoop in 1915 with his pictures of the new super submarines that were deployed by the German Navy. Wallace's experiences during World War I feature in a special chapter on the Hearst cameramen in our latest book American Cinematographers in the Great War. Among the footage shot by Wallace in wartime Italy are some remarkable scenes of the Italian declaration of war, taken in Rome. He also filmed Italian troops that were ordered to protect the Austrian Embassy from the crowds. Heading for the war zone, Wallace left Rome bound for Venice on May 26, 1915. The people in the city, Wallace said, were "spy mad", and he had a hard time taking his pictures because of the strict censorhip by the Italian authorities. But he was in Venice in time to report on one of the first Austrian air raids on the city in the summer of 1915. A.E. 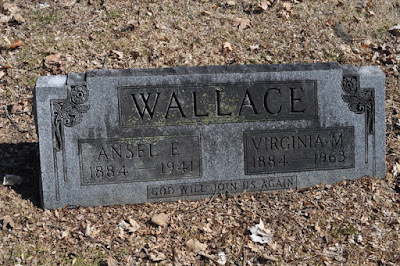 Wallace returned to his hometown Evansville, Indiana, and started his own photographic business. 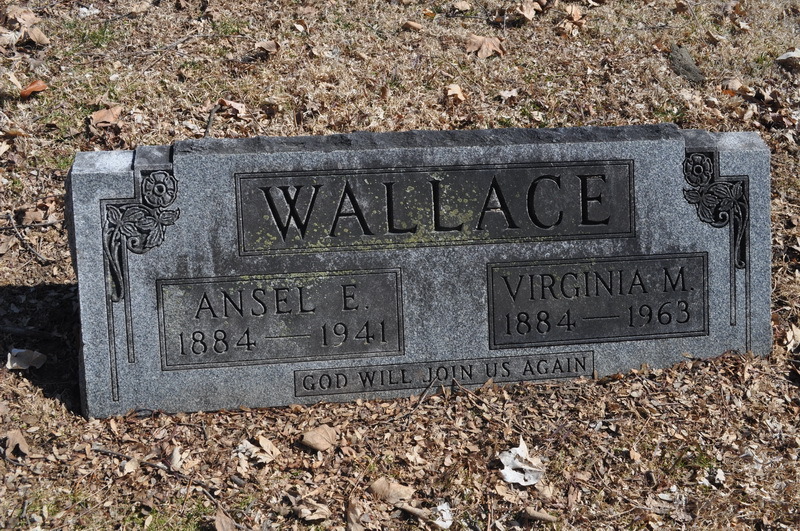 He died in Evansville on December 20, 1941 and was buried at Oak Hill Cemetery.